(8) Aiming to ensure civil peace and national accord, adopt in the person of their plenipotentiary representatives the present Constitution of the Republic of Uzbekistan. Article1. Uzbekistan is a sovereign democratic republic. Article2. The state shall express the will of the people and serve their interests. State bodies and officials shall be accountable to the society and citizens. the restoration of the competent authorities of the state and public organizations of the violated rights. Applications and complaints are resolved within one month from the date of receipt them by the state bodies, public associations, enterprises, institutions, and organizations. They have to resolve the issues on the merits. For the applications and complaints which are not requiring further investigation and verification, it is required to resolve not later than 15 days. Control of compliance of the law on citizens appeals is carried out by the General Prosecutor of the Republic of Uzbekistan and its subordinates. In accordance with the powers granted to them, they shall take measures to restore the violated rights, protect the legitimate interests of citizens,and hold involvement of offenders. (А) The Constitution of the Republic of Uzbekistan (in general) adopted on behalf of the people. (B) The people are the sole source of state power. (C) The people are primary and acting on behalf of the people government agencies are secondary. (D) Any person who denied the principle of priority of the people and occupies state bodies shall be responsible before the law. The true and the false Democracies. If we look the Constitution of the dozens of countries around the world we can notice that they declared «the country’s political system based on the democratic regime». Uzbekistan belongs one of such country in the world. The foundation of a democratic regime based on free elections and replacement of the head of state. If we pay attention to a map of the world countries like the United States, Canada, the European Union countries, Norway, Australia, New Zealand, Japan, South Korea, Israel and some other countries political system in reality practice same ideals. In above-mentioned countries, tenure in the position head of the state is limited by law and they strictly follow this rule. But in regard President of the Russian Federation, Belarus, Kazakhstan, Uzbekistan, Azerbaijan, Turkmenistan, Tajikistan we observe the contrary situation. Even though in the Constitution of the USSR was mentioned the word “democracy” but I.Stalin occupied the position of the head of state 31 years, L.Brejnev 19 year, i.e. they stayed in position until their end of life. After the collapse of the USSR, all 15 subjects of this unity became independent countries. However, except Baltic states – Lithuania, Latvia, and Estonia other countries did not build a democratic system. Contrary to the requirements of democracy, Belarus President A.Lukashenko 22 years, Kazakhstan President Nursultan Nazarbayev 28 years, Uzbekistan President Islam Karimov 27 years, (recently died), President of Tajikistan E.Rahmon 21 years, Russian Federation President Vladimir Putin 16 years staying in the power. In these and in other post-Soviet countries state power is completely separated from the people. People could not participate in governing of the state. In other words, the Constitution principle “The people are the sole source of state power” lost its meanings and authorities brazenly ignores this statement. From this, we can conclude that “Any person who denied the principle of priority of the people and occupy state bodies shall be responsible before the law”. In addition, we can conclude from above the existence of true and real democracy among the world countries. We can see that truly democratic political system countries are rich, people in these societies have comfortable living and at the same time in false democratic political system countries we observe deep crisis in all spheres (economic, social, cultural, religious, literary, artistic, etc.). Some of the authoritarian leaders in order to raise their image (reputation) in the international arena would minor changes in state. At first glance, in 2015 these changes happened in Uzbekistan. Rashitjon Kadirov after 15 years holding the position General Prosecutor dismissed and the young Ikhtiyor Abdullayev was appointed as new General Prosecutor, Attorney General. I heard about this event from the news of Radio Liberty. I thought that: «President Karimov are approaching 80 years of old, he is known as the dictator in the international arena, many international leaders and organizations, publications for many years include him in the rating list of the world’s most evil dictator 10. From another side, I thought he already recognized his old age. So, I came to the conclusion that he before leaving this world might be decided do some positive things. In addition in Radio Liberty, I heard the opinions of journalist Sharaf Ubaydullayev regarding new General Prosecutor. During the conversation on the radio, the journalist said positive words about him and his family. The especially journalist gave sincere appreciation to his Father. After hearing this story my above-mentioned thoughts more consolidated. Therefore, I decided to write an application to new General Prosecutor Mr. Ikhtiyor Abdullayev concerning my son-in-law Azamjon Farmonov, who was arrested on April 29, 2006, and after the court directly transferred to the Penal Colony UY 64/71, the village of Jaslyk, Kungrat district Republic of Karakalpakstan, which are located in terrible place. Daughter – Ozoda Yakubova and me before about this issue have written a number of complaints to the Sirdarya region prosecutor Bakhtiyor Ergashev, to the Sirdarya Regional criminal Court, to the General Prosecutor-Attorney General of the Republic of Uzbekistan R.Kadirov, to the Ombudsman under the Oliy Majlis Ms. Sayyora Rashidova, to the head of Department of penal executive Mr. Abdikarim Shodiev, to the President of the Republic of Uzbekistan Islam Karimov but we did not have received any responses to our complaints. I have participated as a legitimate defense counsel to Azam Farmonov’s criminal case and till now I am staying in this status. I am holding materials instituted against Azam Farmonov on April 29, 2006, №1-110/ 2006, judicial decision on June 15, 2006 introduced by Yangiyer city criminal court , Sirdarya region, materials of criminal case instituted in March-April 2015, №156673, and materials of judgment (sencure) of Kungrat district criminal court, on May 1, 2015. I have written to appeal to the Chairman of the Supreme Court of the Republic of Uzbekistan to Boritosh Mustafayev regarding the first court against Azam Farmonov but I did not receive an answer. After that, the same appeal has sent to the Supreme Court by the name of my daughter Ozoda Yakubova. This time, my daughter have got administrative fraud answer from the Supreme Court, and they replied that «you did not participate in your husband’s criminal case as a legal defense Counsel and therefore your appeals could not be considered”. After this according to our request, the employee of the «Ezgulik» human rights organization Abdurahmon Tashanov as a public defender to Azam Farmonov’s criminal case also addressed appeal under control order by his name to the Chairman of the Supreme Court, but the result was the same. His letter also ignored without an answer. According to the Criminal Procedure Code of Republic of Uzbekistan, a complaint letter under the control procedure could be written by the prisoner himself, it means that, Azam Farmonov can write. Ozoda Yakubova already during the 10 years goes to Jaslyk penal colony to see her husband. She addressed this complaint to Azam Farmonov, i.e. the same complaint has written by Azam Farmonov. On February 12, 2014, he sent a letter via post office to the Chief of penal colony Jaslyk to Botir Kenjaev. According to the law, after receiving a complaint letter, B.Kenjaev have to call the prisoner to his office, should read complaint loudly, then the complaint letter should be given to the defendant, convicted after reading the complaint should back it to Chief of colony, if convicted considered the text of the appeal is correct then he should sign the complaint in front of chief of the colony and at the same time Chief of the colony have to sign complaint in front of defendant and should confirm his sign with the seal of the colony. After convicted back to zone, the chief of the colony has to send a complaint via mail or by courier to the Supreme court. It has already two and half years past as written complaint on behalf of Azam Farmonov was sent to the head of penal colony execution of UY 64/71. Law on «Citizens Appeals,» ignores not only by high-level officials but also by lower-ranking officials. They openly ignore laws, regulations and do not respect citizen’s rights. Why they are not afraid of breaking, violating the law of the state? The answer is simple: when in the state is dominated situation where officers support each other (Collective responsibility) then a violation of the laws rises to the level of state policy in the country! What does mean the rise of violation of law in the state level? This is, first of all, officials who occupied public offices by denying the priority of the people would begin to believe in themselves that they and their descendants will never be punished, and secondly, they are believed that the protest movements of the people all the time can be stopped by using the power, by military. Andijan massacre in May 2005 can be a clear example. The third, it leads to the formation of corporate interest from bottom to top government among officials (to get benefit through support each other). In this case, every official will get its share according to the corporate status. This situation step by step is becoming political and social diseases. Dear Chairman of the Supreme Court of the Republic of Uzbekistan! By expressing my respect to you, I am sending to you for your attention and consideration my complaint letter under the control procedure concerning criminal case №1-110/2006 instituted against Azam Farmonov and Alisher Karamatov on April 29, 2006 by K. A. Mallaev – counselor of Justice, senior investigator on special cases of the division of investigation of Jizzakh regional prosecutor department. From the beginning of this letter, I would like to notice that, until present time I am the defense counsel concerning criminal case №1-110/2006 which instituted against Azam Farmonov and Alisher Karamatov. To substantiate this claim is very simple. The judgment of Yangiyer district criminal court on 07, June 2006 (conducted under the chairmanship of the criminal court E.M. Khidirbaev.) will prove my attendance as defense counsel in the court concerning this criminal case. (Attached to this complaint letter and I will mark it as N1-T.Yo.) However, judge E.M. Khidirbaev by his other judgment on 15 June 2006 (I will mark it as N2) completely illegally removed me from the right of participation in the court as a defense counsel in criminal case №1-110/2006 instituted against Azam Farmonov and Alisher Karamatov. Judge E. M. Khidirbaev while made judgment N2 based on Articles 80 and 423 of the Criminal Procedure Code of the Republic of Uzbekistan. He wrote as: «As described above, and in accordance with Article 80 and by applying the Article 423 of Criminal Procedure Code of the Republic of Uzbekistan court make judgment». Do these articles have any connection with the issue of the refusal of legal defends counsel from the trial? There is no any relation at all. Article 80 deal with the filing of and Deciding on Challenge and Self-Disqualification and, Article 423 is disclosing a procedure for Rendering Findings in Court Session. From above arguments it became clear that 1) senior assistant of Yangiyer district prosecutor Sh. Norbutayev had no any rights to introduce a proposal about elimination me from defense counsel activity in the court; 2) Judge E. M. Khidirbaev in the process of judgment No. 2 (A) He either did not respect the procedural laws; or (B): tried to use cunning; or (C): he was under pressure from the prosecutor’s office – no other words can explain his activity related to absurd judgment N2. Thus, I consider myself at present as defense counsel concerning to criminal case №1-110/2006 instituted against Azam Farmonov and Alisher Karamatov. Comment1. Figurant in above mentioned criminal case Alisher Karamatov released from prison on March 12, 2012, and therefore in further the main task will be about Azam Farmonov. With regard to Alisher Karamatov where there is a need, we would use his initials. 5) Only after detention of Azam Farmonov and Alisher Karamatov, they have started preparing documents for opening the criminal case: (1) on the issuance of money by Uktam Mamatkulov to Azam Farmonov and Alisher Karamatov; (2) Has started activities on a fictional version of detention Azam Farmonov and Alisher Karamatov. (ii) In accordance with paragraph 1 of Article 83 of Criminal Procedure Code of the Republic of Uzbekistan figurants of №1-110/2006 criminal case Azam Farmonov and Alisher Karamatov immediately completely should be justified, must be rehabilitated. In order to understand this is it not necessary to have juridical knowledge. ► Verdict of the Yangiyer city criminal court on 15 June 2006. Both investigator and judge argues that Azam Farmonov and Alisher Karamatov were arrested by Jizzakh regional prosecutor’s office and by the police during their receiving money through blackmail from “victim” Uktam Mamatkulov on 29 April 2006 about 7–30 in the morning. On 29 April, 2006 Azam Farmonov and his criminal partner Alisher Karamatov as the group were detained and exposed their crime by the participants during the event when they were receiving money 200,000 Uzbek currency sum and 250 US dollar through blackmail in Gulistan city of the Sirdarya region from Uktam Mamatkulov with the condition that, they will not publish on the Internet the written claims of heads of Farmer units about Mamatkulov’s actions. On April 29, 2006 at approximately 7.30 in the morning in the bus stop which is located in front of the region hospital, in the Tashkent street of the Gulistan city, in the route of Gulistan-Tashkent of a large Uzbek highway were detained Azam Farmonov and Alisher Karamatov through operative actions by the Jizzakh Regional Department of the internal affairs police and by the prosecutor’s office employees during theirs receiving money 200,000 Uzbek currency sum and 250 US dollar through blackmail from Uktam Mamatkulov. Comment2. From excerpt B Kadirov’s decision, there are shown three objects: 1) the Tashkent Street in Gulistan City which is located in the route Guliston-Tashkent of the Large Uzbek highway; 2) Region Hospital; 3) Task went about the bus stop. There is double-sided railway between large Uzbek highway and the region hospital. The distance between Railroad bed and Uzbek highway is about 4-5 meters. Referred in the decision bus stop are outwardly open, three sides and roof consists of concrete blocks and in the form of a line. It has built as «back away», from the railroad, measurements approximately – length 6 meters, the width of 3 meters and a height of 2.5 meters. Regional Hospital is located far from railroad bed at least 100 meters. If from railroad bed go down towards to the regional hospital there is another bus stop approximately 20-25 meters from the railroad bed. In the bus stop in front of the route every big and small buses, minibusses and taxes incoming from the west of the country will stop (people getting down and getting in, out of cars and entrance to cars). In regard, another bus stop it will service to the city itself – in front of this bus stop mini buses and taxes will stop. The street coming from the city side passes in front of the regional hospital and through bus stop will turn to the left, to the mahallas. Mentioned in judgment a bakery is located on this street. (Inside the street) The Mahalla consists of one-store private houses and cottages. On April 29, 2006 in the bus stop which is located in front of the region hospital, in the Tashkent street of the Gulistan city, in the route of Guliston-Tashkent of a large Uzbek highway were directly arrested defendants Azam Farmonov and Alisher Karamatov during theirs receiving money 200,000 Uzbek currency sum and 250 US dollar through blackmail from Uktam Mamatkulov through operative actions by the Jizzakh Region Department of internal affairs police and by the prosecutor’s office employees. Comment 3: «directly arrested» and «during receiving money … arrested,» – these statements are equal and hereinafter I will use the word «directly arrested». It is known that «directly arrested» means the detention of a person directly in the commission of a crime in a specific place and exact time by the policy authorities or any civilian person (s). In the case of Azam Farmonov and Alisher Karamatov, directly arrest has done by Jizzakh regional prosecutor’s office and the police. The difference between direct detention or arrest of civilians and police that police officers in order to prevent evasion of the criminal they immediately will tangle hands of the offender. Where and in which situation was arrested Azam Farmonov? In all of the above-mentioned three documents states that Azam Farmonov was directly arrested by the Jizzakh regional prosecutor’s office and the police through their operative actions in the bus stop which is located in front of the region hospital, in the Tashkent street of the Gulistan city, in the route of Guliston-Tashkent of a large Uzbek highway. If offender was directly arrested by the prosecutor’s office or by police then person would not have any chance to run away from the place of detention because, firstly, in front of the person will stand police staff, second, person will tangle immediately, third, if in the place of detention there are a lot of people then police in order to keep away from interested eyes during the operative action will try immediately to bring the offender in pre-trial prison or in temporary detention place. This highway is the only way which connects west of Uzbekistan with Tashkent. Accordingly due to this factor bus stop will be crowded on Saturday and Sundays. The event happened on Saturday (on 29 April 2006). Thus, accordance with the statement of the responsible persons of the prosecutor’s office and the court- K. Mallaev B. Kadirov and E. Khidirbaev that the Azam Farmonov and Alisher Karamatov were an encirclement (surround with) of the prosecutor and the police with handcuffs into the hands. From E. Khidirbaev statement: «… he saw two running people in his direction and he threw money on the street and run to the bakery” we can observe and make clear three things: 1) in front of Azam Farmonov and Alisher Karamatov except «victim» U. Mamatkulov there were no any other prosecutors and police officers; 2) The bakery is located next to the bus stop; 3) A. Karamatov threw money in Gulistan-Tashkent highway and ran. From the first argument: A. Karamatov after receiving money from U. Mamatkulov saw some two people who were running in his direction and he started running away. This means in front of A. Farmonov and A. Karamatov there were no one except U. Mamatkulov and his hands were not with handcuffs, and therefore, there was no direct arrest. From the second argument: The statement of Judge E. Khidirbaev is totally absurd (actually quite far from reality), because there is no bakery next to the bus station. Bakery far from the bus station is about 200 (two hundred) meters and it is located on the other side of railway bed, permanent way. In order to run to the bakery one should get from the old stairs width of 2 meters along the concrete slab and should high out along the railway Hill (in bulk), after that from the peak (in bulk) should pass over the double-side railroads and should get down to the other side from the stairs which are the worse than previous and after that should run to the bakery about 100 meters. While A. Karamatov was jumping to bakery then two policemen were able easily to catch him. So, where was that time these policemen? In general, whether they were there or not? Or they went there for the audience, for show? The conclusion is clear – If 37-year old A. Karamatov was running to the bakery then there were no any operative acting police in railway bed, permament way. “In the morning of April 29, 2006 the police stopped me and was asked to be a witness in some case. He put me in the car and brought me to the bus station next to the regional hospital. There was a shop (kiosk) and one person was sitting and selling different goods. At the other end of the bus stop, there was the half-built building without doors and windows. Inside the room, we saw piles of garbage and above them were lying on a pack of money. Police counted the money in front of me. In addition to witnesses, the letter mentioned the quantity of 100, 200, 500 Uzbek currency. Police wrote the protocol and I signed it”. Only one «witness,» said that when police brought him to the bus station he saw Alisher Karamatov among policemen. (I quoted the word of a witness because illiterate E. Khidirbaev does not differ from word objective person (kholis) the word witness). Indeed, how is located mentioned in criminal case objects-the regional hospital, bus stops, and bakery? About the location of three objects (the Tashkent Street which is in Gulistan-Tashkent direction and part of the large Uzbek highway, bus stop which is located on this street and regional hospital) and about the location of the second bus stop next to the regional hospital and bakery was written in the second commentary. Both the bus stops are located in front of the regional hospital, the first bus stop is located from the regional hospital about 130 meters away, and the second bus stop is located closer to the regional hospital and distance from them about 100 meters. Railroad bed, permament way above the railway is separated these bus stops. According to the criminal investigation and court version, the criminal happened in front of the main, first bus stop. According to the words of so call by the court «witnesses,» they saw money in the center of a pile of garbage in the half-built building without doors and windows which are located under the roof of the bus stop near to the regional hospital. In the sentences of the judge, E. Khidirbaev mentioned that Alisher Karamatov “… saw two running people in his direction and threw money in the street and was running” So, from above it seemed that Azam Farmonov and Alisher Karamatov while they were receiving money from U. Mamatkulov they were in front of the main bus stop in the Gulistan-Tashkent route. There is no other street. Therefore, Alisher Karamatov might only throw money in the highway, as the judge wrote that «… threw the money in the street and ran out to the Bakery. Once again will note: Distance between the bakery and the place where the criminal was committed at least 200 meters and they are located in different parts of the railway bed. Is it possible run from the scene of the crime to the bakery which is located 200 meters away? One can run to 5-10 (five) meters in a smooth way away from the building (house, apartment). But from the place of the scene of the crime to bakery there are no any smooth, flowing street, way. In order to run away from the place of criminal to the bakery, one should pass first of all double-sided railroad bed. For that one first should get up to the high railroad bed through passing concrete slab which is width of 2 meters and with completely destroyed of stairs, second, should jump above four rails and should run minimum 10 meters, third, should get down on the other side of the stairs which are the worse than previous. Without doubts, we can say that in order to pass that mentioned hurdles 200 meters one should run equal to 400 meter smooth way. So, where is the logic? How can we state that person ran to the bakery which is 200 meter far from the place of crime and with serious hurdles way? How much time is required to 37-year-old man (Alisher Karamatov) to run to the bakery by passing these serious hurdles way? He is not the Usain Bolt Jamaican sprinting world champion for running a short distance! I am sure that for this at least ten (10) minutes at a time required to Alisher Karamatov. QUESTION: Where was the operative acting group of policemen while Alisher Karamatov was running to the bakery direction? Did they were sent to arrest the criminals or for watching from the back of the running criminals? (1) How is the money thrown by the A. Karamatov to highway appeared to the next side of the railway bed in the half-built building without doors and windows which are located under the roof of the bus stop near to the regional hospital? (2) Suppose Alisher Karamatov with a package of money ran via the railway road and have reached to the bus stop next to the regional hospital. If Alisher Karamatov by running (away) went there and while passing this place he has thrown package money to the above mentioned half-built room then who has separated money from the package and put them on a pile of garbage? (3) If Alisher Karamatov by running (away) reach the bus stop and further by running reached to the bakery in this case where were the operative acting group of policemen who directly arrested them? Where lost the operation “direct arrest of Azam Farmonov and Alisher Karamatov»? If they first detained two criminals and then released one of them and gave him a chance to ran from the place of crime and they could not catch him for a distance of 200 meters till bakery then how we can call this group as an operative acting group? Facts of the innocence of Azam Farmonov and Alisher Karamatov have proved. (II) The decision made by K. A. Mallaev – counselor of Justice, senior investigator on special cases of the division of investigation of Jizzakh regional prosecutor department on 29 April 2008 №1-110/2006 concerning of criminal proceedings was unlawful and consists of slander. 4) I consider that only by justice decision of Supreme Court we can prevent and eliminate criminal acts and corruption of people like K .Mallaev B. Kadirov, E. Khidirbaev and others dishonest people. Respected Chairman of the Supreme Court! 3) To make a decision according to Article 83 part (1) of the Criminal Procedure Code Republic of Uzbekistan concerning to full rehabilitation (justify) of Azam Farmonov and Alisher Karamatov. Talib Yakubov – participated as Defense Counsel in the criminal case №1-110/ 006 of Azam Farmonov and Alisher Karamatov. QUESTION: 1) Why the Chairman of the Supreme Court Boritosh Mustafayev did not respond to the above-mentioned and four times sent complaint letter? ANSWER: He cannot answer. In order to answer, he should have in his hand facts which will cancel my proof. However, he could not have any facts which can deny my proof. 2) Why we (My daughter Ozoda Yakubova, Lawyer Abdurahmon Tashanov and me) have sent this complaint letter addressed to the Chairman of the Supreme Court much time? Because is in the Criminal Procedure Code of the Republic of Uzbekistan there is an article concerning “Investigation of Newly Discovered Circumstances”. Sometimes it can be a mistake in the process of investigation of the criminal case. It may be natural that human mistake, human factor mistakes in the process of investigation and in the court proceedings. Sometimes this mistake can be observed in democratic countries too. I will explain to the reader: one who is suspected of committing a crime from the his/her arrest until the end of the trial many people will take part in the fate of detained person (including prosecutors, police, and intelligence services as well as ordinary citizens), the investigating officers, attesting witnesses, experts, translators, lawyers, judges, assessors, and so on. In the process of detection of crime by someone or by more of the people might be mistake with ignorance or purposely. However, with the passage of time someone can identify these errors. In this situation in a criminal case will appear “Newly Discovered Circumstances”. If the country’s judicial system is honest and justice than after detection of the newly discovered circumstances staff immediately should start the investigation. About the existence of newly discovered circumstances in the criminal case of Azam Farmonov we mentioned in our complaint. Every day hundreds of complaints, the applications, and other documents will be sent to the Supreme Court. Naturally, the Chairman of the Supreme Court not able to read all the complaints, he will deal with some important issues. However, there are dozens of high-quality professional lawyers to examine the petitions and complaints received by the Supreme Court. They could not have known that there are newly discovered circumstances – Reopening Proceedings in View of Newly Discovered Circumstances is one of the main sections of the Criminal Procedure Code of Republic of Uzbekistan. Out of 4 (four) times sent complaints 3 (three) of them reached to the Supreme Court – we have postal office receipts about these letters. Did they read our complaint letters? I am sure that have read. Did they have seen the fact of newly discovered circumstances? Yes, they have seen it perfectly. If so, why Chairman of the Supreme Court has ignored our letters, why did not reply? The answer is simple: not responding or ignoring the appeals of citizens depends on the policy of the government in regard o relationship between government and people. At the beginning of 2000, the Human Rights Society of Uzbekistan (HRSU) has studied this issue. HRSU activists and engaged volunteers have provided the survey in several parts of the country among the population. We asked the people one question: «Did you receive an answer for your submitted to the Government bodies’ appeals (petitions, complaints, etc. )?» Theirs answer to our question wondered as. Out of 10 complaints about nine (9), government bodies did not answer. In other words, the response of the government officials to the complaints of the population was only 10%. Let’s now observe the Constitution Republic of Uzbekistan and the law on citizen’s appeals. Article2. (Constitution of Republic of Uzbekistan). The state shall express the will of the people and serve their interests. State bodies and officials shall be accountable to the society and citizens. Look: Ostensibly State bodies and officials shall be accountable to the society and citizens. In this system they never are accountable. They will show you what the meaning is of to be “accountable, responsible”. We have seen accountability of the Chairman of the Supreme Court already 3 times and responsibility of the head of penal colony UY 64/71 B. Kenjaev. Pay Attention: “within 1 month…”, “no later than 15 days…” is compulsory. Don’t say this word “compulsory”, “resolve” to the Chairman of the Supreme Court he will be angry. See this respected person did not reply to as for four years. Did we become angry? No! We understand, it is difficult to this person, because if he will say something there are in the top other respected persons who will close his mouth with rags. If to be serious, in 26 years of independence population is lives under the condition where officials “don’t response” to the complaints. Constitution and laws do not work. Prosecutor’s Office, National Security Service, police and other law enforcement agencies activities by ignoring laws. The penal colonies full with prisoners. Some people more than 20 years is spending they life in the penal colonies. Many people died in this place. During the 21 years from 1994 to 2015 national currency declined more than 1100 times. Official exchange rate was 7 Uzbek sum equal to 1 USD when new currency applied (1July, 1994). Now 6500 sum equal to 1 USD. Question: Is that any link between above mentioned events and Governments policy “don’t respond”. The answer: Yes, of course. About this relationship, one can write 6 books with 1000 pages. Now, I would like to back to the new Attorney General Ikhtiyor Abdullayev. Tell the true, it has did not come to my mind that if I will write a letter to the I. Abdullayev concerning my son-in-law Azam Farmonov and I will receive an answer. But with the thought that he is also like others, I decided take risk and write him a letter. On 24 June 2015, I have sent a letter to Attorney General via post office. I am Talib Yakubov, who lives in France congratulate you on your appointment to a high state position and I would like to appeal to you regarding an important issue. This issue is related to my son-in-law (husband of my daughter Ozoda Yakubova), Azam Turgunovich Farmonov who detained on 29.04.2006 under Article 165 of the Criminal Code of the Republic of Uzbekistan (Extortion) and charged by a criminal court of Yangiyer city Sirdarya region on 15.06.2006 for 9 (nine) years of imprisonment. 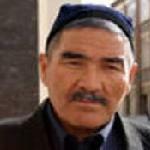 Azam Farmonov from the July 2006 up to now is in the prison-penal institution located in the village Jaslyk UY 64/71, Kungrat district, Republic of Karakalpakstan. On May 1 of this year, Kungrat district criminal court considered guilty for Azam Farmonov under Article 221 of the Criminal Code of the Republic of Uzbekistan and extended his tenure for 5 (five) years, 26 (twenty-six) days and at the same time changed the detention regime from general to strict regime prison. I have participated as defense counsel of Azam Farmonov (and Alisher Karamatov the second figurant of the criminal case) in the criminal case №1-110/2006 in court proceedings according to the Article 49 of the Criminal Procedure Code (Defense Counsel) and in accordance with decision of Yangiyer city criminal court issued on 07.06.2006 and approved by the chairman of the above-mentioned court Erkin Khidirbaev. Although E. Khidirbaev on 15.06.2006 completely illegally against the court rules by his another decision discharged me from defense counsel but I still consider that I did not lose my status and it is not difficult to prove it (attachment to this application- my written letter under control order addressed to the Chairman of the Supreme Court of the Republic of Uzbekistan to Boritosh Mustafayev]. Mentioning complaint letter to the Boritosh Mustafayev at the first time have sent by me or by the official defense counsel in 2013 but I did not get an answer yet to my letter. After that, the same appeal has sent to the Supreme Court by the name of my daughter Ozoda Yakubova. This time, my daughter have got answer on 24 February 2014 under the number №13-1169-14 from the K. Mamarakhimov- the head of the division of complaints and visitor reception of the Supreme Court, and he replied that «you did not participate in your husband’s criminal case as legal defense counsel and therefore your appeals could not be considered”. After this, the same letter has sent by the employee of the «Ezgulik» human rights organization Abduarhmon Tashanov. However, Boritosh Mustafayev strictly stood in his wrong position and did not reply. Finally, this complaint letter has written by the convicted Azam Farmonov and have sent via post office to the Chief of penal colony UY 64/71 Jaslyk to B.Kenjaev with requesting to make sign this letter by convicted, approve of sign of convicted by his sign and by the seal of colony and send that letter via post office or by courier. (mail receipt and the notice is in our hands). Although the letter was sent on 12 February 2014 to the B.Kenjaev but still we did not receive a reply. It might be hard but we can understand that B.Kenjaev did not reply to our complaint letter but it is unclear that the Chairman of the Supreme Court ignored our letters. It seems in our country does not exist the law on citizens’ appeals. 3) The verdict of the Yangiyer city criminal court on 15, June 2006. (4) Only after detention of Azam Farmonov and Alisher Karamatov, they have started preparing documents for opening the criminal case: (1) on the issuance of money by Uktam Mamatkulov to Azam Farmonov and Alisher Karamatov; (2) Has started activities on a fictional version of detention of Azam Farmonov and Alisher Karamatov. (I) Even though if due to the fault of Ozoda Yakubova, Abdurahman Tashanov, Chief of the colony UY 64/71 B.Kenjaev and me did not reach complaint letter to the Supreme Court but if complaint letter of Azam Farmonov have read by the Chairman of the Supreme Court Mr. B.Mustafayev or by the other judge of Supreme Court regarding the criminal case №1-110 / 2006 then it means the fact of opening a new criminal case. It is not difficult to detect the presence of the fact. From above rise the logical questions: Why is the person who occupies one of the most prestigious positions (the position of Chairman of the Supreme Court) did not try to notice this? Whether he did not notice by his own initiative, i.e. purposely or he really did not notice or due to the political order? If we consider the fact that all of the staff at the Supreme Court are high-level lawyers, then only one answer to the previous question that it is the political order! (II) By hoping that there are no any staff in your Governing Prosecutor General of the Republic of Uzbekistan who works on the basis of the political order, I would like to request to you as Attorney General consider the case №1-110/2006 with newly discovered circumstances and view a new criminal case and entrust the case to the trusted colleagues. Respected Attorney General, according to the Article 524 of the Criminal Procedure Code of the Republic of Uzbekistan I would like to request you to conduct the case as the newly discovered circumstances concerning the criminal case №1-110/2006 opened on 29 April 2006 by the K. A. Mallaev – counselor of Justice, senior investigator on special cases of the division of investigation of Jizzakh regional prosecutor department. 6. The complaint letter has written by Talib Yakubov to the Chairman of The Supreme Court of the Republic of Uzbekistan. “The claim letters of Talib Yakubov and others related to Azam Farmonov and concerning to opening the new criminal case as the newly discovered circumstances is sending for the consideration. It is required to inform the results to the authors of claim letter. If suppose that letter reached to the Sirdarya region prosecutor’s office for three (3) days than it has past exactly one (1) year. However, until today no answer! By impressing from the first “victory” I have written a complaint letter to the Attorney General to I. Abdullayev (May 1, 2015), regarding the new criminal case against my son–in-law Azam Farmonov №156673 (12 November 2015). Below, I will bring the text of the complaint (written in Russian). On 01 May 2015 Kungrat District Criminal Court of the Republic of Karakalpakstan in its meeting considered the criminal case №156673, instituted by the preliminary investigation body against the Azam Farmonov accused under the item «b» of Part 2 of Article 221 of the Criminal Code of the Republic of Uzbekistan. I consider and confirm that this judgment is absolutely illegal. Presiding – Judge of the Court D. Razov; Secretary B. Tleuberganov, the public prosecutor – a special prosecutor of Kungrat region M. Davlatkilichev with the participation of the defendant – A. Farmonov in the building of Kungrat district department of internal affairs, in the open court considered the criminal case №156673, instituted by the preliminary investigation body against A. Farmonov to the accused under the item «b» of part 2 of article 221 of the Criminal Code of the Republic of Uzbekistan’. As can be seen in the composition of the court, there is only one of the opposing sides on the court – the public prosecutor. There is no other major side – defense Counsel (lawyer) of the defendant. Consequently, the court was not adversarial, which is a flagrant violation of the requirements of the Article 25 (adversarial proceeding at court) of the Criminal Procedure Code (CPC) of the Republic of Uzbekistan. In addition, witnesses at the trial Davlatov Parhat Saparbaevich, Abdimajidov Abdibet Aleutadinovich, Djumagulov Suyishbek Tlegenovich, Yusupov Dilshod Turamuratovich, Toremuratov Sobit Otashevich are employees of PC UY 64/71,i.e. their people. It is not difficult to imagine that judge D. Razov was under strong pressure from the special (!!!) District prosecutor of Kungrat district M. Davlatkilichev and they – the judge, the prosecutor, and witnesses – taunted the defendant Azam Farmonov as they wanted. In any civilized country, such a tribunal is not allowed. It was not a trial against the human rights activist Azam Farmonov but this trial was namely the judgment seat. I affirm that the Uzbek public justice in the face of the judge Kungrat District Criminal Court D. Razov committed one of the vilest and heinous crimes against justice, failing to ensure the defendant’s advocate. So, whether the awarded judgment of Kungrat District Criminal Court by the judge D. Razov has legal validity? NO, it has not. There is the main proof. CPC of Uzbekistan requires not only the competitiveness of the court but also is in the Part 6 of Article 51 (Mandatory participation of defense counsel) categorically states that: » Participation of a defense counsel in criminal proceedings shall be mandatory in cases that involve the participation of a state or public accuser ». As a specialist in mathematical logic, I’m accustomed to proving the illegality of the judgment the judge D. Razov by the language formulas of mathematical logic and it is clearer and more convincing. In the language of mathematical logic above proposal is expressed as a formula: P → Q, which reads as follows: «If P, then Q» (or «From P to be Q»), where the letter P indicated by the sentence «In the criminal case in a court session will participate State or public prosecutor, «and the letter Q – the sentence» Participation of the defense counsel is a mandatory.” Let ¬ P denial proposal P (¬ P is read as «not P»), that is to say the sentence: «In the process of criminal case at the trial state or the public prosecutor will not participate», and after ¬ Q denial proposal Q, then there is a proposal “In the court defense counsel will not participate”. One of the laws of mathematical logic states that approval of P → Q and ¬ Q → ¬ P are identical, that is the identity: P → Q ≡ ¬ Q → ¬ P. Verbal expression of this identity reads as Proposal «From P to be Q» is equivalent to the proposal «From ¬ ¬ Q follows P» (that is to say, «From P to be Q» and «From non-Q should not P» – the same thing). Thus, we set: to say P → Q (“If in criminal proceedings the state or the public prosecutor is participated, than participation of counsel is required») and say ¬ Q → ¬ P («If in the criminal case in court the defense counsel did not participate than the participation of the state or the public prosecutor is not allowed «) is the same. What does the formula ¬ Q → ¬ P? It says, «If in the criminal court did not participate (not involved) defense counsel, in this case, state or the public prosecutor, must not participate». But, as we seen from the above extract, the public prosecutor, in the face of a special prosecutor Kungrat district M. Davlatkilichev participated in the trial! The conclusion is clear: The verdict or decided bill of Kungrat District Criminal Court by the judge D. Razov is illegal and should be canceled. On 01, May 2015 judge D. Razov made unjust verdict purposely, by grossly violating part 1 of the Article 231 (Rendering Unjust Sentence, Decision, Finding, or Ruling) of the Criminal Code of Uzbekistan, for which according to law shall be punished with imprisonment up to five years. Participation of Prosecutor in the judgment seat in Kungrat District Court and even a special, Prosecutor of Kungrat district M. Davlatkilichev, who had to stop perpetrated judgment seat which occurred in his eyes clearly points that the situation which slipped in Uzbek justice system and in the supervising authority for the execution of the laws. I’ve had some time think about that with who to contact – to the Chairman of the Supreme Court of Uzbekistan to Mr. Boritosh Mustafayev or to you. Knowing that Mr. Boritosh Mustafayev has a habit of not respond to the requests and complaints by blatantly violating the law “On citizens’ appeal”, and regarding your office I received a reply to my complaint, for which I would like to say many thanks and decided once again to appeal to you. I really cheered from the reply of your staff Mr. U. U. Muhammadiev. 2) Institute legal proceedings against a judge D. Razov under part 1 of Article 231 of the Criminal Code of Uzbekistan. Forwarding to you the complaint letter of T. Yakubov for further inspection and taking measures. Please, organize a thorough and comprehensive inspection of all arguments which mentioned in that letter. About results inform to the applicant and the forward to the second applicant for information. Attachment in: 4 + 1 sheets. Sh. Amirov is head of the department of letters and complaints of citizens, Justice Advisor. My complaint letter was sent on 12, November 2015 and I have received an answer to my letter on December 5, 2015. It means my letter approximately reached to Prosecutor General Office within 12 (twelve) days, i.e. reached on 24, November. If we consider that my complaint letter reached to the Nukus city not later than 4 (four) days, i.e. 28 (twenty-eight) November 2015 than my complaint letter are about nine (9) months lying in the prosecutor’s office of the Republic of Karakalpakstan. There is no answer till now! If someone would learn dirty things from another person and repeated it than Uzbeks simply saying: «Someone did” an” and bundle weigh it. Indeed Rashitjon Kadirov’s «a» weighing by I. Abdullayev? If it is so, we cannot expect any changes in Uzbekistan. I can say without any error that the Prosecutor General’s letter to the Sirdarya regional prosecutor’s office reached not later than 4 (four) days and this means my application already in region prosecutor’s office for nine (9) months. There are specific actions in case of any criminal investigation, and it will allocate a limited period for each case. And every person of the prosecutor’s office has known about this, and they do not need my advice about this matter. From above a natural question arises: In spite of already 9 months past but it is unknown that is it instituted a new criminal case or not regarding №1-110/2006 criminal case against Azam Farmonov? It is surprising! I do not understand for the solution of this simple matter should we need the interference of Attorney General of the Republic of Uzbekistan? I have written letter to the respected Attorney General of the Republic of Uzbekistan (on 12 November 2015) regarding second criminal case (May 1, 2015) №156673 against my son-in-law Azam Farmonov. As it is stated from the Postal Service of Uzbekistan joint company letters as usual from Tashkent to Nukus will reach no later than seven (7) days. Thus, the Prosecutor General’s Office №24 / 12-15-9950 letter reached to I. Palvanov on 12, December 2015 and therefore, letter already for 4 (four) months in that institution. If compare two criminal cases provided in №12/23-15-445 and №24 / 12-15-9950 letters we can see a big difference between them, simply saying heaven and earth: forwarded to the Ya. Ochilov is required to make difficult tasks- to open the new criminal case, to investigate arguments which have mentioned in a complaint letter, conduct a criminal investigation. As concerns to the second letter which has sent to Mr. I. Palvanov in this letter the issue was about the legality of the sentence of Kungrat district criminal court (judge D. Razov) according to the Criminal Procedure Code Republic of Uzbekistan. The sentence of the judge of the Kungrat district criminal court D. Razov not only illegal but also very groundless, unreliable. I have no any doubts about it. I will explain. I have observed several numbers of court processes. Two trials have taken place in two different parts of the country and two judges sentenced two defendants with one Article means with similar Article of law and their judgment, sentence completely different, quite opposite from each other. I will repeat: the trials took place in different places and at different times, the judges are different people, i.e. not the same person, in both trials defendants charged with the same article. However, the judges accusing the defendants with two different sentences which completely contradict each other, and both lie! The defendants have no juridical knowledge; they could not appeal for judge’s lies and defense counsel (lawyer) was sitting in silence! In other words, in both trials judges were saying simple, “run away with an empty trolley”. Thus, two trials occurred with “lies” “conversation rotate in the opposite direction” and defendants sentenced to long-term arrest. It is too clear of unjustified sentences of Judge D.Razov that it is not possible to change or to interpret by difference way the 6 part of the Article 51 of the Penal Procedure Code of the Republic of Uzbekistan (Mandatory Participation of Defense Counsel) In fact, this part of the article states: “Participation of a defense counsel in criminal proceedings shall be mandatory”, i.e. in the process of participation of public prosecutor at the same time participation of defense counsel is compulsory. If in this Article was mentioned that in the process of participation of public prosecutor might participate of defense counsel than a judge might have made casuistry. Article 51 is such as univariant. Who were the participants of district court trial on May 1, 2015? They are the presiding judge D.Razov, the clerk of court B.Tleuberganov, public prosecutor M.Davlatqilichev, the prosecution witnesses: Davlatov Parhat Saparbaevich, Abdimajidov Abdibet Aleutadinovich, Djumagulov Suyishbek Tlegenovich, Yusupov Dilshod Turamuratovich, Toremuratov Sobit Otashevich – all are employees of PC UY 64/71 and accused Azam Farmonov. Defense counsel did not participate. Conclusion: If the honorable I.Palvanov (or prosecutors under him) read thoroughly the sentences of judge of Kungrat district criminal court D.Razov on 1 May 1, 2015 concerning to my son-in-law Azam Farmonov than they could not have any other decision except cancellation of district court’s sentences, i.e. they would have changed the decision of the court in favor of the accused. This process would have lasted only half an hour. Dear I.Palvanov for 5 (five) months, what are you waiting for? Dear Attorney General! I have written to you two complaint letter concerning of my son-in-law Azam Farmonov, who unlawful is remaining for a long time in panel colony. I have got a reply to my two letters. This situation before never happened in Uzbekistan. Is this serious or it is a just game? I did not receive an answer to this letter. New Attorney General’s respond to my complaints was game.